Amy's brief interaction with Vincent in the apartment that day sets off warning bells, so she assures Mrs. E that she'll find out what's really going on with both him and his mother. She tails Vincent through Brooklyn, eventually following him and a mysterious man out of a local dive bar. At first, the men are only talking as they walk, but then, almost before Amy can register what has happened, Vincent is dead. For reasons she can't quite understand, Amy finds herself captivated by both the crime she witnessed and the murderer himself. She doesn't call the cops to report what she's seen. Instead, she collects the murder weapon from the sidewalk and soon finds herself on the trail of a killer. 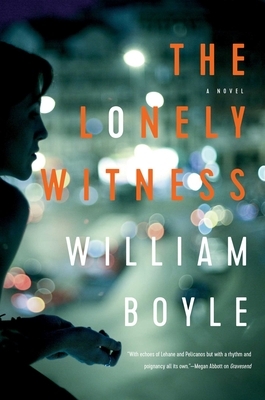 Character-driven and evocative, The Lonely Witness brings Brooklyn to life in a way only a native can, and opens readers' eyes to the harsh realities of crime and punishment on the city streets.